Dr. Jeffrey Babushkin is a nationally recognized expert in cosmetic dentistry and implant restorations. As a leader in the field, he lectures extensively on advanced implant technology and achieving superior esthetic results. A graduate of The Ohio State University where he earned his Doctor of Dental Surgery, he completed a general practice residency at the University of Maryland Medical System. Dr. Babushkin subsequently completed an implant maxicourse and certification at Brookdale Hospital Medical Center. Dr. Babushkin is committed to ongoing professional development in order to continually expand and refine his professional, clinical and technological skills and insight. He is the only dentist in Fairfield County that is board accredited by the American Academy of Cosmetic Dentistry, an organization dedicated to advancing excellence in the art and science of cosmetic dentistry. This status was earned after submitting to the most rigorous, peer-reviewed accreditation process in the field of cosmetic dentistry. Dr. Babushkin is a Fellow in the Academy of General Dentistry, an honor achieved by only 7% of general dentists. He is also a Fellow in theInternational Congress of Oral Implantology which required extensive continuing education hours and successful implant case documentation. Dr. Babushkin is also a Fellow in the Pierre Fauchard Academy, an international organization that recognizes professionalism, integrity and ethics in the field of dentistry. Fellowship in this prestigious Academy is by nomination by professional dental leaders and recognizes outstanding achievements in dentistry. Dr. Babushkin is a member of the International Team for Implantology and the Academy of Osseointegration. He is also a Spear Education Faculty Club mentor. 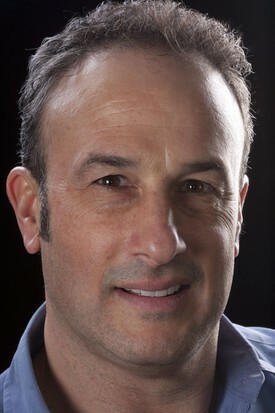 He is an active member of the American Dental Association, Connecticut State Dental Association and the Greater Bridgeport Dental Association where he has served on the Board of Directors. Dr. Babushkin's commitment to lifelong learning has continued throughout his career as both a mentor and a student. "It's the way I stay passionate about dentistry and knowledgeable about the most current dental techniques." Dr. Babushkin has studied extensively at the Seattle Institute for Advanced Dental Studies and Spear Education. He has also studied extensively at the Dawson Center for Advanced Dental Studies, Brookdale Hospital, Oral Implantology, Dental Education Laboratories, and with the Aesthetic Advantage Continuum. Dr. Babushkin Lectures widely and is proud to share his expertise and knowledge at dental meetings and symposiums around the country. He has been appointed as a Clinical Instructor at the University of Connecticut School of Dental Medicine and recently accompanied UCONN Dental students on a trip to Guatemala providing dental to impoverished communities. Dr. Babushkin is a Key Opinion Leader for Biohorizons Implant Company and a Branded Educator for the American Academy of Cosmetic Dentistry. 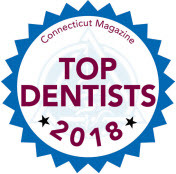 He has been named Top Dentist by Connecticut Magazine, as well as Fairfield, Westport, New Canaan, Darien and Greenwich Magazines. Dr. Babushkin has published articles in the International Journal of Periodontics & Restorative Dentistry and the Compendium of Continuing Education in Dentistry. He has also contributed a video segment to dentalxp.com, the foremost online continuing dental education forum in the world . Dr. Babushkin and his wife, Kate have two children. In his spare time, Dr Babushkin enjoys golf, tennis, platform tennis, skiing, mountain biking, painting, guitar and a love for blues music. Click the link below to read Dr. Babushkin's featured profile in Connecticut Magazine's August 2018 Issue!